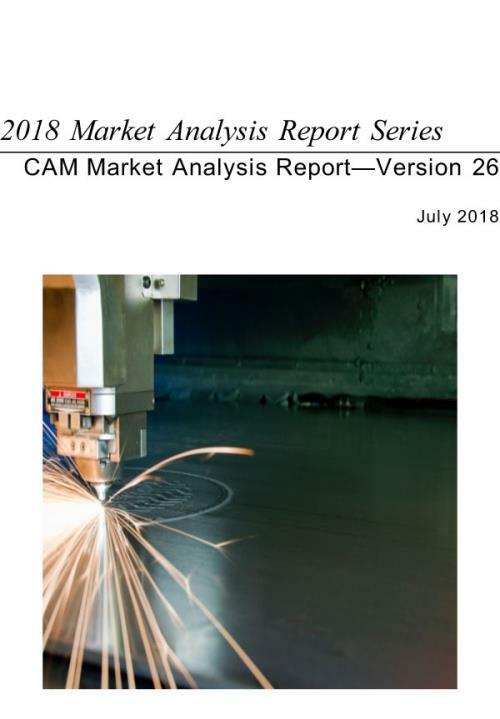 This 2018 Computer-Aided Machining (CAM) Market Analysis Report provides information about the worldwide market for CAM and digital manufacturing software products and services during 2017. CAM accounted for US$2.09 billion in software and services revenues worldwide. The report provides summary charts and analysis on the 2017 market segments for global CAM solution providers and an analysis of the Top-10 providers. The author uses several research methods to gather data for our annual PLM Market Analysis Report series. Approximately 550 companies currently receive a survey in which to provide data. Multiple email reminders are used to increase the response rate. The research team interviews the world’s largest PLM solution providers. Since many of these companies cannot directly share detailed market figures, multiple interviews are often conducted with each company to gather insights and determine suitable revenue estimates. In addition, separate research is conducted in both China and Japan to discover more detailed information about those markets. Some data is publicly available and is used directly, and other market research information is used for cross-checking, such as information from the Electronic System Design Alliance (ESD Alliance), which collects and reports global EDA data quarterly.